STRUKTUR is the title of the first institutional solo exhibition of Peter Krauskopf in his birth town Leipzig. Working with the surface and the texture of paint, Krauskopf creates spatial structures and vivid poetries of interwoven lines, bars or oval shapes. STRUKTUR is the title of the first institutional solo exhibition of Peter Krauskopf in Leipzig. Krauskopf, born in 1966, studied at the Academy of Fine Arts in his birth town Leipzig and later continued as a post-graduate under Arno Rink. After the turn of the milennium, he became famous for his break with the figurative tradition of painting in Leipzig. Among other awards Krauskopf received the Falkenrot Prize 2015. He currently lives and works in Berlin. 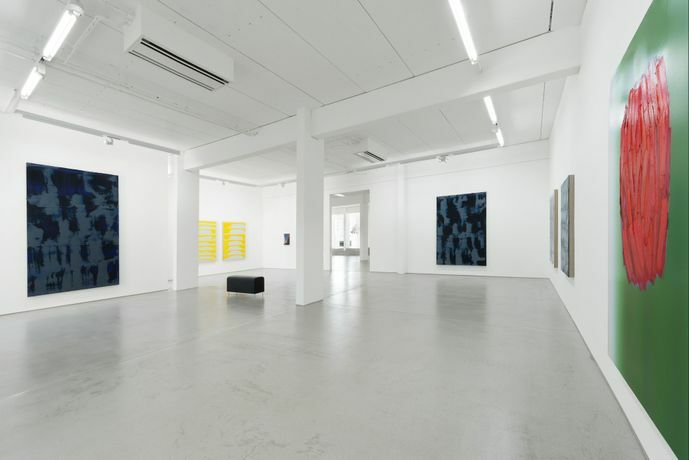 His new exhibition at the G2 Kunsthalle Leipzig presents a selection of his most recent abstract paintings. 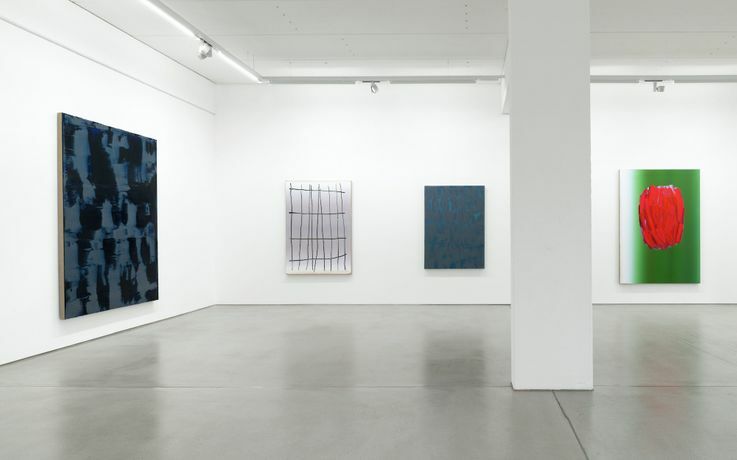 Across two rooms offering 400 square metres of exhibition space, 20 paintings by Krauskopf, including large format works, are on view at G2 Kunsthalle. The term structure relates to the properties of a material or fabric. The sense of the word is not limited to the surface of materials, it also implies the construction as well as the plexus of meaning of objects or contents. 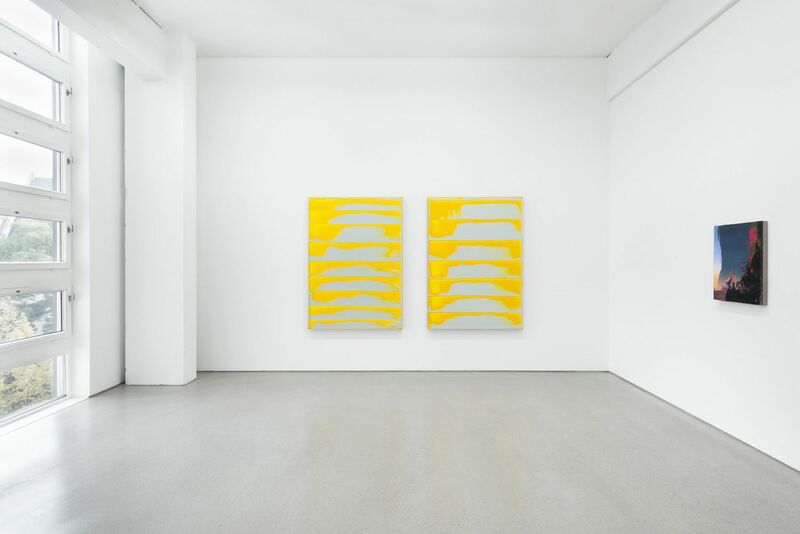 In this context, the title STRUKTUR refers not only to the painterly textures of Krauskopf’s works, but also to the pictorial space and the volumes of paint, the substance itself of his paintings, as well as the method of his work. Krauskopf’s abstract compositions are created through a process of layering and blending paints in various stages of fluidity. The artist stretches out the volumes of paint with a squeegee and then subjects them to a long process of drying, while some areas are processed further. The results are gradients that play with the suggestion of depth and complex layering. Coincidences do play a role – but the control of the artistic process and the resulting dichotomy of repetition and variation remains the constituent aspect of his artistic vocabulary. 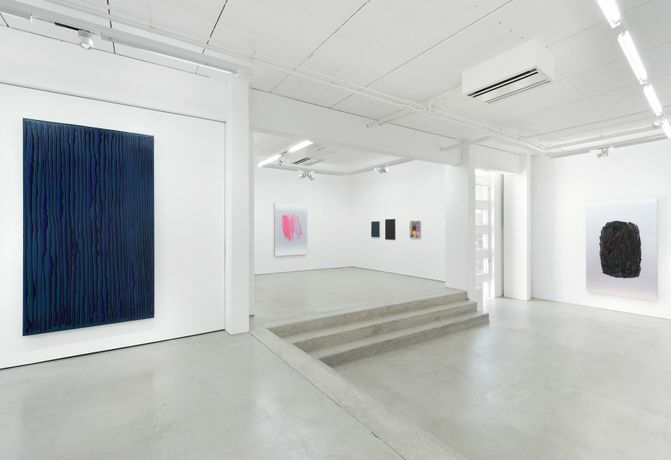 The quality and the visual appeal of Krauskopf’s works lies in the duality of physical mixture and repulsion of painterly volume, caused by his technique, occasionally leading up to the impairment or damage of the beauty of a gradient. Working with the surface and the texture of paint, Krauskopf creates spatial structures and vivid poetries of interwoven lines, bars or oval shapes. Krauskopf’s artistic strategy does not aim at perfection. On the contrary, he seems to be more interested in the systematic errors inherent to the algorithm of his production process. He apparently relishes them, when he speaks about the »consistent flaws« of his compositions. 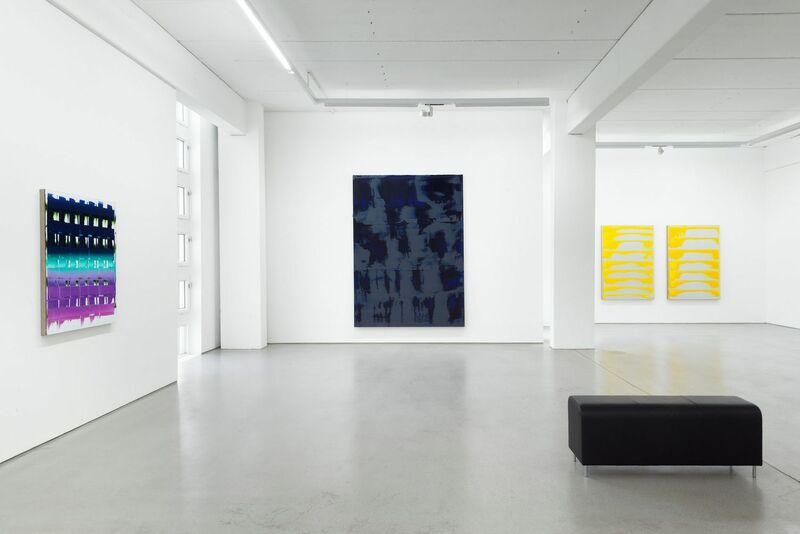 Krauskopf calls his approach »automated painting«, a formulation that implies a parallel to mechanical processes or technical programming methods defined by fixed and variable parameters. An accompanying catalog will be published: Peter Krauskopf: Struktur, with a text by Jörg Heiser, ed. by Anka Ziefer, exhibition cat. G2 Kunsthalle Leipzig, publ. by MMKoehn Berlin/Leipzig 2017, book release scheduled for November 2017.